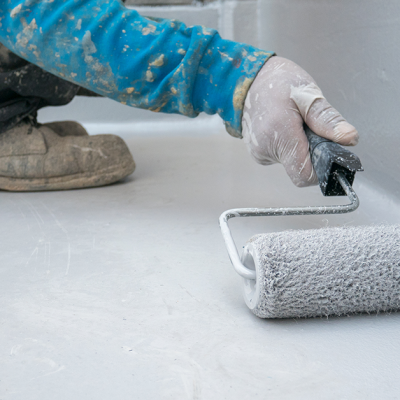 As a homeowner, you might have heard about the importance of waterproofing your property. As a result, you may have started to ask questions like, “should I consider waterproofing my basement?” If this is a question you have wondered about, one thing to consider is that waterproofing your property can increase your property value. Here’s how getting your property waterproofed can increase the value of your home. Getting your basement waterproofed is one of the best ways that you can increase the value of your home. When your basement is not waterproofed, you are putting your property at great risk. For example, if there are any leaks in your basement, it can often lead to cracks which can negatively impact the foundation of your home. Even if there are only small cracks, these may become larger over time, which can become an expensive problem to fix. Homeowners are not likely to buy a home if there are obvious cracks in the foundation of the home. In addition, if the basement is waterproofed, it can be a great incentive to buy the home as the space can easily be turned into livable space. This feature alone will add value to your home. Waterproofing a basement also increases property value as it prevents the possibility of basement flooding. If a basement floods, it can do serious damage to all the items that are stored in the basement. In addition, flooding can not only damage irreplaceable items, flooding will also add extra problems such as mold or rot. In the end, not only will you have to pay to remove the water from the basement, you’ll also have to worry about costly damages. Waterproofing your property will not only protect items, it will prevent damages to your home, all of which will increase the value of your property. If your basement leaks, contact Toledo Basement Repair or an estimate! Toledo Basement Repair offers a wide range of basement waterproofing products and patented drainage systems that will protect your home and your family. Our experienced project managers will custom design an interior perimeter drainage system, customized specifically for you. (419) 297-6138 | info@tdgroups.net.